Breitbart: Trump Vindicated On His Wiretapping Claim - Joe.My.God. Late yesterday CNN reported that former Trump campaign chair Paul Manafort was wiretapped by the feds starting in 2014 over his murky financial dealings with Ukraine. 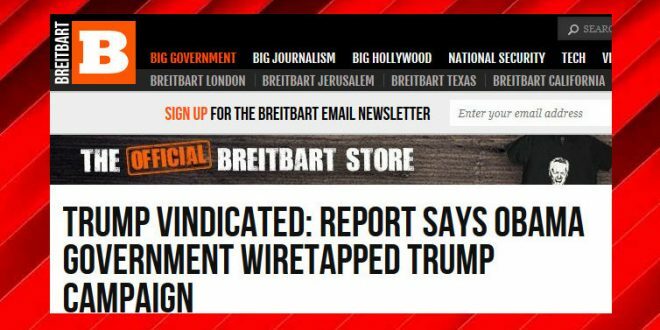 And even though that started long before anybody dreamed that Trump would run for president, today Breitbart claims this vindicates his claim of being wiretapped himself.